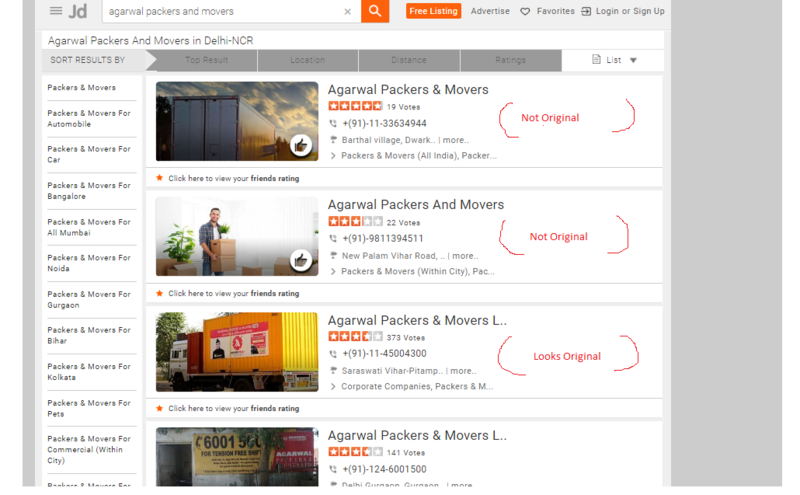 Which is the original Agarwal packers and movers? If that's right, Bingo! you landed on the best informative and expert guide to find out the right and genuine Agarwal packers ever found on online. 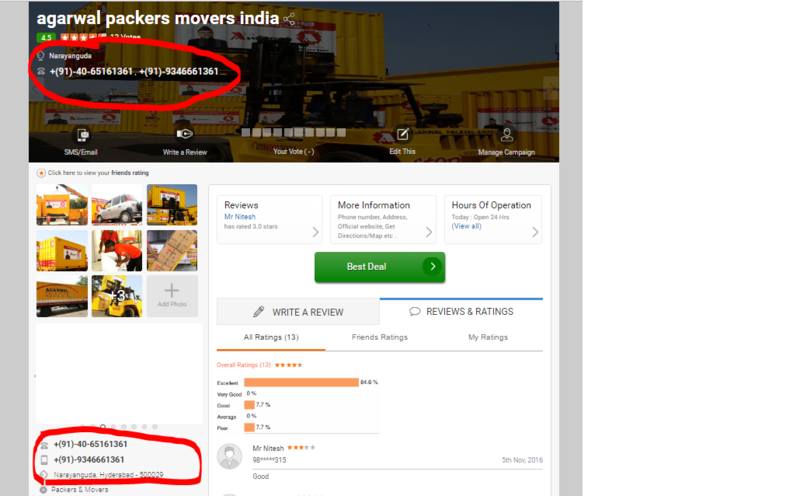 Do you know our online and offline research says more than 1250+ people/year gets cheated with the fake Agarwal packers and movers brand? 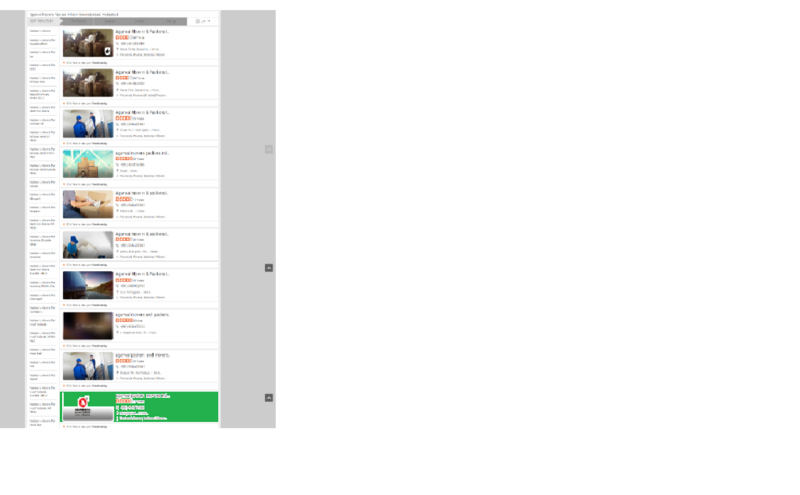 Some of the proofs expressed by the customers on the web. Companies took 3 decades to build their brand and trust in relocation services space. But many counterfeit packers and movers are taking this brand name to their advantage to deceive the customers. Some non - genuine or look alike online brands names. First time house shifting customers who just heard about Agarwal packers will have a tough time in finding the genuine Agarwal packers and movers without spending time on research. While trying to understand how they were deceived, few of the customers say they searched on google or got from sulekha or just dial or other online directory sites. We took the time to research how things are going on google and other online portals. Let’s see what we discovered and how vulnerable users are. 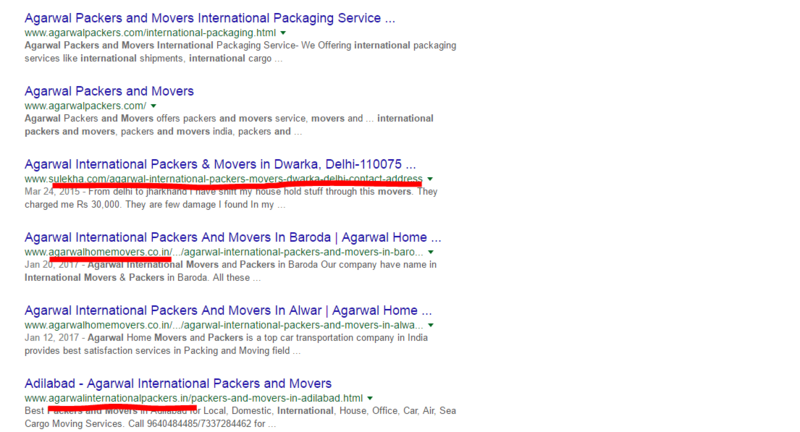 I started searching on google for “agarwal packers and movers” you can see the google search image below, except the first two results, all others are different relocation companies with Agarwal names. It’s a high chance ( close to ~67%) that the customers would choose a fake Agarwal packers and figure they are not the original companies at the end. Do you think google is helping you in this case? If you are an ardent customer of just dial or sulekha and started searching for Agarwal packers and movers you are falling into a huge trap. I searched for “agarwal packers and movers” in Delhi region. I was exhausted to go through the complete list of different Agarwal packers and movers in that area. Except for the 3rd one, I figured out every other packers were not original. Pardon me! I did my best to show you the result to the clear, I zoomed in to show the actual result as it is at 10th position (highlighted in green in the image), I bet not more that 20% people would go to that point. I clicked on it, let's see what information I got. Things that caught my eyes were the phone numbers and the location they mentioned. I immediately referred to their original site. Am I kidding? How can we have two original? I’m sure most of the customers don’t know that they are two companies existing with the brand name “Agarwal packers and movers” but that's true. Long story short, two brothers started the Agarwal brand in 1986 and they fell apart in a year and another brother started with the same Agarwal brand name. Let's see both the Agarwal’s in detail. It's not only the case with the Agarwal packers, many other brands in relocation also suffer this brand tampering. Brands like Leo packers and movers, Interem packers and movers. Santa fe relocation and many more are the victims. Little off talk from the blog topic but relevant to the brand abuse. Few of the customers come to us and say VRL packers and movers or Gati packers and movers quoted less than yours. We asked them to verify with all the details VRL logistics doesn't have packers and movers business (check their site). Gati has Gati KWC (not packers and movers ) to help people to just transport household goods but they don't do the packing, unpacking, house survey etc. They come back to us saying look you were right on this. They are numerous such incidents where customers are charged too high using the brand name and get cheap quality service. At the end, they realize this is not the original one. Two years ago, one of the Migrera's co-founder had been a victim of the same. We heard quite a lot of similar stories during our journey in Migrera. "Relax, while we take care of the rest"
P.S - I’m not disregarding any packers and movers. 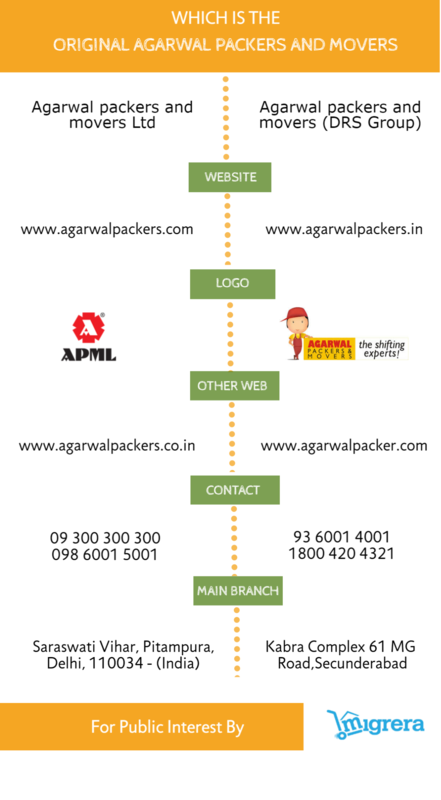 My intention in the blog is to make sure you pick the original Agarwal packers and movers.